No, it’s not painted from a photo, but I confess I used a rubber lizard and real crab apples. I painted several of these at an artist in residence weekend. They sold out at the show, you can still get one because I painted more. 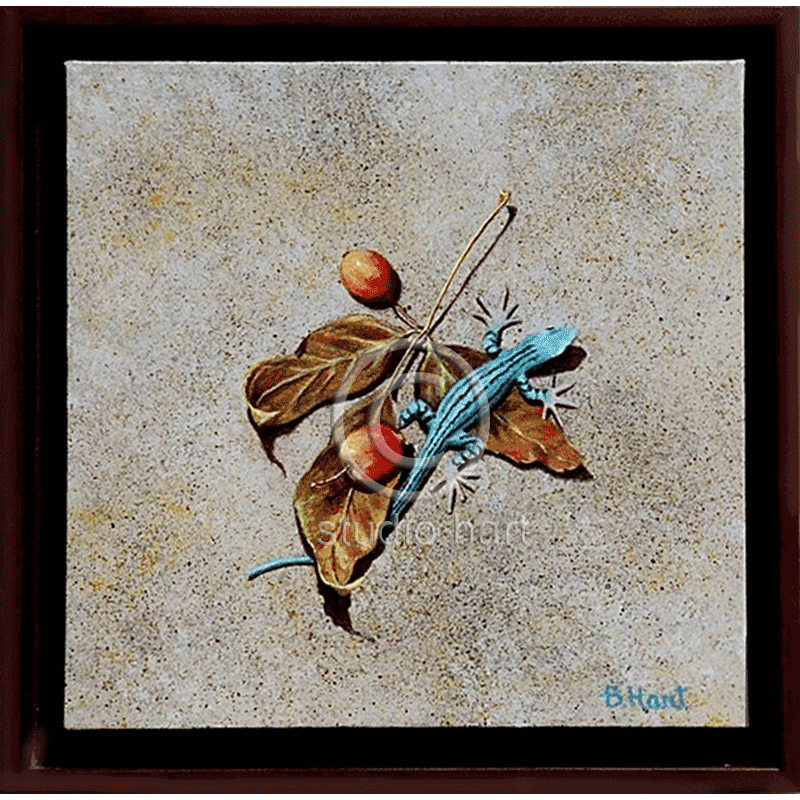 Very fun and the little lizard pops right off the canvas. Great for a small empty space! Nice companion piece for Fall Frolic.